Mettere a bagno i fagioli in acqua tiepida la sera prima. Sciacquarli e metterli in una pentola ,coprendoli con acqua tiepida. Aggiungere sale, 1 spicchio di aglio e due foglie d’alloro. Mettere sul fuoco e quando bolle abbassare la fiamma e cuocere 1 ora. Aggiungere altra acqua caldase si asciuga troppo. Servire con l’acqua di cottura e condire con l’olio e una grattata di aglio. Ci sta bene anche un po’ di pepe. Soak the beans in warm water the night before . Rinse them and put them in a pot , cover them with warm water . Add salt , 1 clove of garlic and two bay leaves . Put on fire and , when it boils, reduce heat and simmer 1 hour. Adda other hot water if it dries too much. 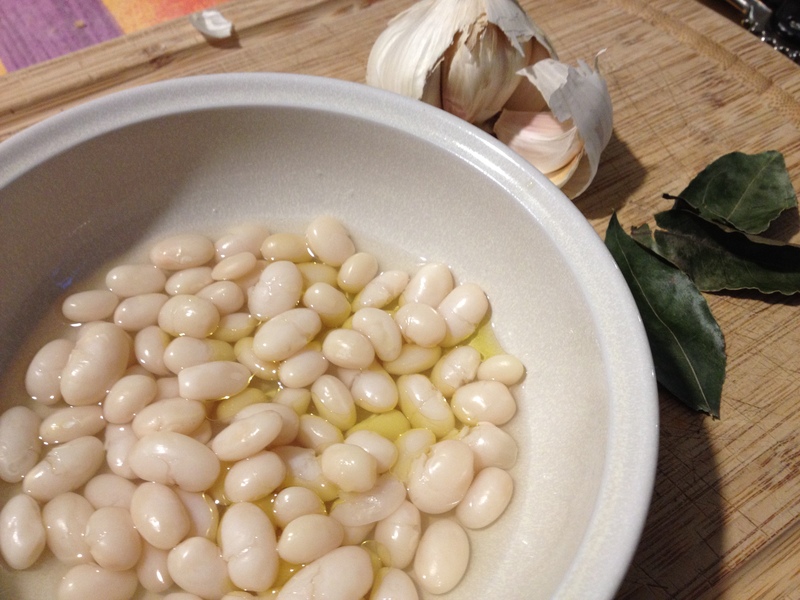 Serve with the cooking water and season with olive oil and a sprinkling of garlic . A bit of pepper suites well.